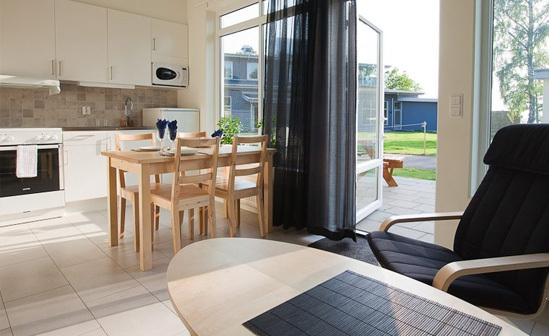 We are offering you accommodation with a magnificent view of Ringsjön. with nature and fresh air outside the window your night will be calm and relaxing with bird song as your lullaby. Waking up refreshed and opening your windows to the crisp and rejuvenating breeze of the lake and nature. 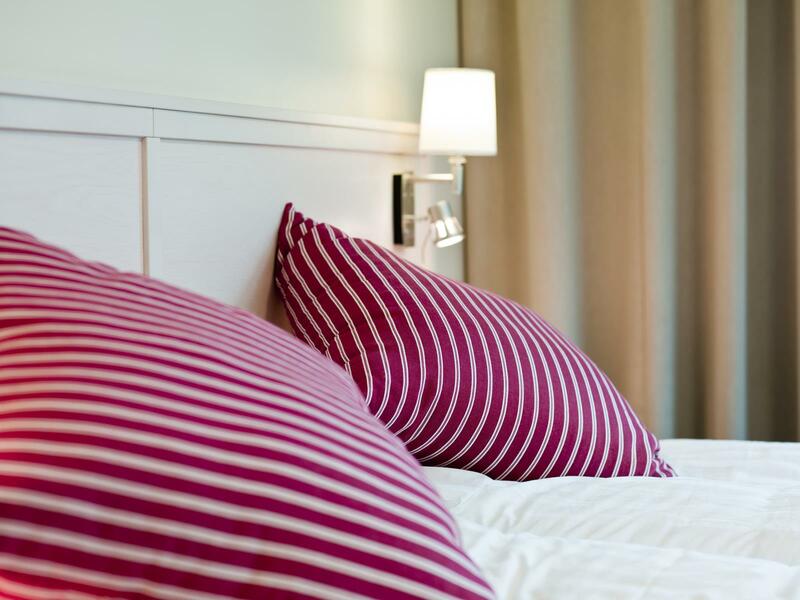 Ringsjöstrand has twelve hotel rooms and 15 hotel cabins that hosts 100 beds in total. 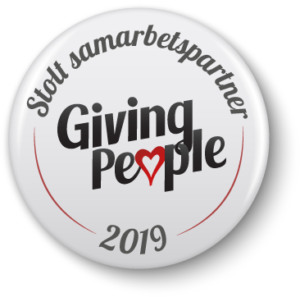 In the same building as the hotel we have one of Skånes nicest restaurants that hosts near 100 seats or almost 200 with the large wooden deck for a nice out doors meal with a lovely view of the lake. We have a relax department and spa for our hotel guests with a sauna and two hot tubs. We have a service and gift shop for simplifying your stay with us. As our guest in our hotel you are offered free parking space and wifi internet during your stay. Our standard rooms offer you two 90cm wide single beds, a nice little desk, a reading corner and a restroom with a shower. Two of our standard rooms are corner rooms that offer more space and a sofa bed. 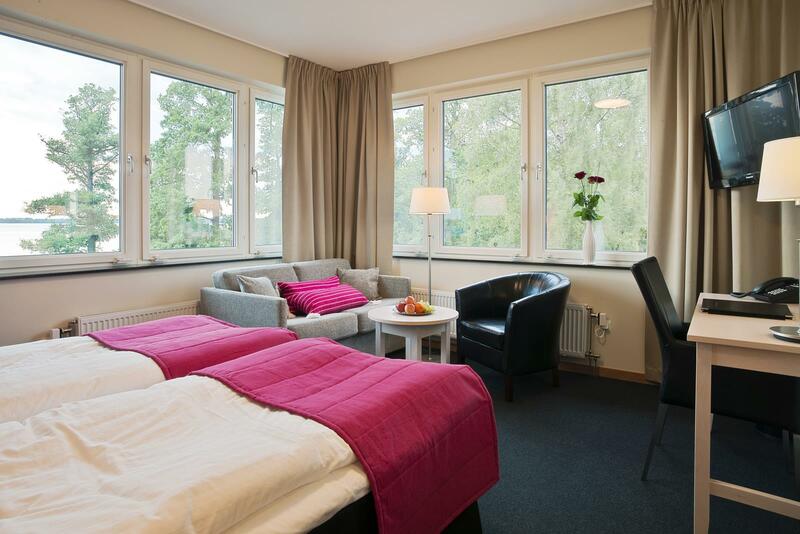 The Deluxe rooms all have a view towards the magically magnificent Ringsjön. The Deluxe rooms are bigger then the standard rooms and come with a desk a chair for reading or taking in the view. two 90cm wide beds and a restroom with a shower. Two deluxe rooms also come as corner rooms with a sofa bed and more space. Hotel cabins have the space for a larger group. They are their own stand alone cabins that come equipped with a kitchenette and dining table, a restroom with a shower, two bedrooms a sofa bed and lounge chairs for all the comforts of a day of sightseeing or adventure.